Highly recommended apartmentsubmitted by Yu-Chen T. - Sep 06, 2012 |Recommended: YesIt's affordable price for good living quality. Staffs are nice and helpful. WE LOVE ITsubmitted by Laura T. - Aug 30, 2012 |Recommended: YesWe just moved here last weekend. I am loving the atmosphere, the apartment was freshly painted, carpeted, and cleaned before we moved in. The rent each month is extremely reasonable because (a) it includes all utilities (b) we have two floors and (c) there is free parking. We just love it. Nicesubmitted by Anonymous - Jul 19, 2012 |Recommended: YesThe service and apartments are nice. it's quiet and peaceful. the only thing I wish could change is receiving package notifications, something that isn't done. Just because things can come as a surprise, you'd hope you'd be notified. Other than that it's a great place! Satisfied but turnaround efficiency needs to be improvedsubmitted by Wenjie D. - Jan 19, 2012 |Recommended: YesI tried to contact apartment staff via Email twice, but never get any feedback thus far. Beautiful, Safe, Friendly, Safesubmitted by Monique F. - Dec 15, 2011 |Recommended: YesI would tell them that I love the quitness and how well the community is kept. I will also tell them that I love how friendly and personable everyone who works here is. I would let them know that the quilty and size of the apartments are then then one could ask for, and that I am so happy that I took the time to come see, and then choose to live here. Hidden treasuresubmitted by Arthur B. - Dec 12, 2011 |Recommended: Yesits a great place to live. Nice , clean and quite. Good Pricedsubmitted by Emily B. - Dec 09, 2011 |Recommended: YesGreenbriar is a great price, with so many utilities included. The area is decent, and I've never felt unsafe here. The negative aspects are you have to keep bothering maintenance in order to get them to come, and there is no recycling available on premise. I never hear neighbors through the walls, but unfortuantely you can hear a lot of noise come through the windows. Responsible Staff, Accountable maintence dept. Very welcoming atmoshere!submitted by Elaine A. - Dec 06, 2011 |Recommended: YesI was a Travel Nurse for years and lived in the most beautiful apts throughout the country. Although Greenbriar is set in a beautiful enviorment also nothing I have ever dealt with can compare to the Staff anf Maintenance dept! In this do everything for cheaper and quicker world Greenbriar staff is so accountable and does an awesome job of repairing and maintaining its grounds!! The Management dept could not be any sweeter! I could go on and on with awesome stories where they have come to my rescue with minor issues but to me were very major. My son has been begging me to move near him in Delaware but I love Greenbriar apts Staff and maintenance crew will never leave! Excellent residence!submitted by Sunday B. - Nov 02, 2011 |Recommended: YesIf you are looking for quiet home setting with none of the drama that most apartments present...then Greenbriar is your best bet. 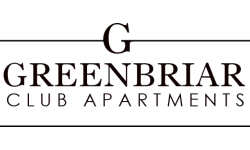 As a perk Greenbriar provides the option of online payment and maintenance request. I am a new resident and love the atmosphere and convenience to shopping, dining and entertainment. Excellent maintenance dept and timing with repair request. Office staff could not be more pleasant and helpful!submitted by Elaine A. - Oct 06, 2011 |Recommended: YesLocation is excellent, although apartments are older maintence of apartments is outstanding. The rental costs are reasonable.. Very nicesubmitted by Yu-Chen T. - Aug 22, 2011 |Recommended: YesIt's a good place to stay, location good, price reasonable, staffs are friendly. Quick response for maintenance request and emails.submitted by Zhuoer X. - Aug 02, 2011 |Recommended: YesNice and quiet. Poor maintenance servicesubmitted by Christina K. - Jul 22, 2011 |Recommended: YesThe place is nice because it's safer than you think and cost is fairly low compared to other surrounding apartments. However, when you need maintenance service done, get ready to yell and bug them for days before it gets done.